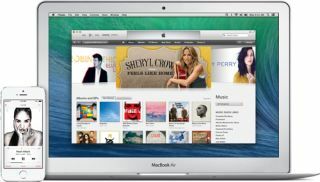 Apple could offer high-resolution music downloads in June | What Hi-Fi? Reports suggest Apple could be set to make high-resolution audio available to download from the iTunes store as early as June. Apple could be planning a complete overhaul of the iTunes store that may lead to high-resolution audio files being made available for download, according to rumours and leaks website MacRumours. It expands on previous rumours that Apple is contemplating the release of a streaming service to rival Spotify, while also producing an Android iTunes Store app. The high-resolution audio rumours come via music blogger Robert Hutton. He claims an unspecified source has informed him Apple will release high-resolution audio in the store as early as June. An official announcement is expected at Apple's WWDC 2014. Apple has been in talks with record companies for a few years now, trying to get high-resolution, 24-bit files onto the iTunes Store. Apple currently sells music in 16-bit AAC format, encoded at 256kbps. Apple does also offer Mastered for iTunes version of albums and LPs. These files are submitted by artists in 24-bit/96kHz resolution to "create more accurate encodes." High-resolution audio has picked up some ground in recent months. Sony is promoting a big push for the format, implementing the technology within many of its new products – including the MAP-S1 system. Musician Neil Young took it upon himself to release the PonoPlayer and PonoMusic high-resolution audio service to much fanfare, receiving more than $5million worth of support through crowdfunding platform Kickstarter.